General dentistry involves diagnosing and treating the causes of tooth pain and gum diseases. Your general dentist treats and cares for your overall oral health. At Greensborough Plaza Dental, we offer general dentistry services to our customers in Watsonia and surrounding suburbs. 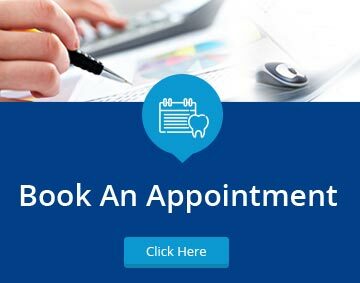 Whether you just need a consultation with our dental hygienists or a complete range of dental services, we deploy the latest innovations in dental care to bring out the best in your smile. A dental check-up involves a thorough examination of your teeth, gums and mouth. We recommend people to get a dental checkup every six or twelve months, which will help maintaining a good oral health and preventing minor problems from becoming serious ones. Preventative dentistry involves taking a proactive approach to maintain a healthy & beautiful smile. Our dental office uses the latest diagnostic technology to recognise and treat tooth decay and damage at the earliest stage. Endodontics, popularly known as root canal treatment, is performed when the blood and pulp of the tooth is infected through injury or decay, causing toothache and abscess. This treatment entails removing infected pulp and filling the hole left behind. Based on the size and location, we recommend fitting a crown over the top of your tooth. Wisdom Tooth presents potential problems and pain, especially when they are misaligned. Poorly aligned teeth can damage adjacent teeth, nerves and jawbones and cause many other problems. That’s why we recommend patients to have wisdom tooth extraction to avoid future problems. Healthy gums are the basis of our oral wellbeing. Gum diseases can lead to a gamut of dental problems, including gingivitis, tooth loss, bad breath, bleeding, receding & sore gums. Our specialists will give you the necessary advice and treatments for gum related dental problems. We also teach you some effective cleaning techniques to perk up your oral health. Bad Breath is a common problem that can be socially embarrassing and could be a sign of underlying disease. When you come to us, we will examine your mouth, gums, teeth and tongue for signs of abnormalities. We also provide a thorough cleaning session to remove the traces of food debris, bacteria and plague. At Greensborough Plaza Dental, we are committed to provide patients with a dental home where they can look forward for friendly service from qualified professionals. To get your general dental care and restoration treatments in one location, call us at 03 9435 3555 and schedule an appointment today!